Looking for the best running shoes under 5000 range? 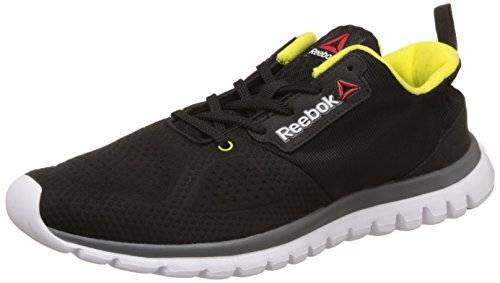 If you’re in a hurry and don’t want to read the entire review, here are my top 3 recommendation for the best running shoes under 5000 (for men). 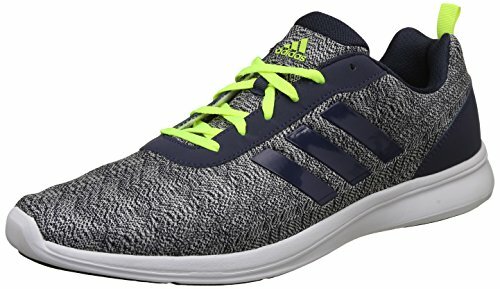 In case you’re in a hurry, here are my top three recommendations for the best running shoes under 5000. 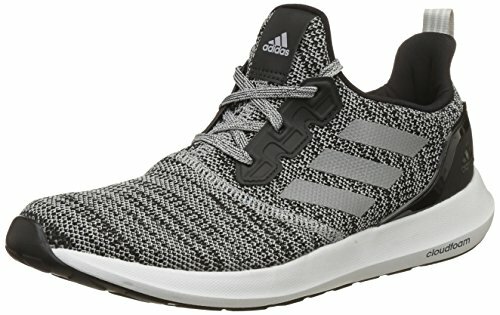 And if you’ve some time, let me take you through a list of best running shoes and their detailed review. A few weeks ago, I was searching for the same, and I realized it to be a challenge. A good quality shoe can cost a ton a money, and most of the high-quality ones were in the 10,000 to 20,000 range. But let me tell you something a shoe store wouldn’t – a higher priced shoe may not be the best option for your legs. On the contrary, according to a recent study, expensive shoes are often no better than the cheap ones. In fact, it states that cheaper shoes are sometimes better than expensive shoes. My point is that you can get a great quality shoe under INR 5000 as well. All it needs is a bit of research. And in this article, I have done that research for you. 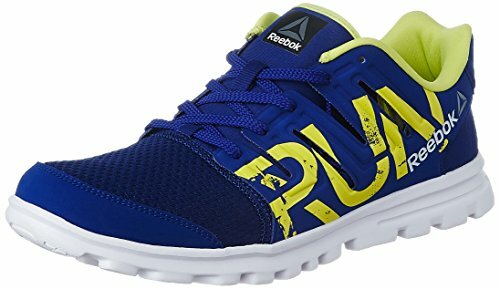 Here I am listing the best running shoes under INR 5000 that you can buy online (or if you’re a brick and mortar kind of person, you can check these in any store nearby). Does a shoe under INR 5000 mean that you’re compromising on quality? Long answer – read on. As I mentioned, sometimes, expensive shoes are no better than cheaper ones. However, you still need to make sure you buy a high-quality shoe that will not end up hurting you in the long run. Having the right running shoe will not only help you run a long distance without any pain but it will also protect your knees and feet from a long-term injury. Most runners always look for the best pair of running shoes but with a variety of shoes online you will get either confused and make a wrong selection or you end up buying a pair of shoes which are more expensive. In India, cheaper running shoes would mean they fall in the range of Rs. 2000 – 5000. If you go below 2000 then you are really taking a huge chance of injury. Often, with sub-2000 shoes, the cushion in these running shoes will not be adequate to absorb the shock your joints get while running or the material. And sometimes a cheap shoe may end up getting damaged in less than a year. Then there are other things to consider if these shoes will have a good midsole, nice breathable mesh in the upper and decent outsole to provide grip. Unfortunately, you are less likely to get a very good quality running shoes below Rs. 2000. If you beg to differ then please leave your comments at the bottom. If you look at running shoes in the range of Rs. 2000 – 5000 you can expect a decent quality material being used. Adequate cushioning for your feet, good quality mesh and well developed sole material to provide grip and traction. Below is the table that shows all the running shoes under 5000 covered in this review. Now let’s have a look at the detailed reviews of each of the running shoes under 5000 covered in this article. Adidas is a German footwear giant that is known for its shoe quality worldwide. While most of Adidas products are priced way above 5000, this shoe is with 5000 and has a great quality too. It is made of breathable mesh material and is light on the foot. The cushioning in the shoe makes it suitable for long use and even long runs. If you have a wide foot, you may find the mouth of the shoe to be a bit small. This, however, doesn’t interfere with comfort. It comes in three colors – blue, black and gray. This is one of our top recommendations and it’s great quality and value for money. Reebok Hurtle is a comfortable shoe with a classic black and white look. It can be used for running, during workouts as well as with sports. It’s trendy look also makes it look good with a casual look (good for casual Fridays in office). The stand out feature of this shoe is the cushioning at the right place. Even if your feet that are hard to please, this one can do it. Adidas Adiray is made with a synthetic outside and based on a breathable mesh. It has a full rubber outsole that makes it very durable. It comes in three colors and all of these make it a good fit with a casual wear. Despite these being below INR 5000 range, these look and feel extremely high quality (which Adidas is known for). If you’re hearing the name Under Armour for the first time – I don’t blame you. It’s a new entry into the Indian shoe market and is based out of the US. This Under Armour shoe is made of synthetic and is ultra light on the foot. 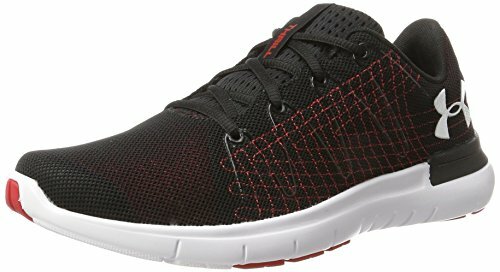 While you may think that mesh shoe is better than a synthetic one, I would urge you to check it out (and especially check the review people have left on Amazon). This shoe is comfortable, light, and durable. It has a soft sole that tends to absorb shocks when running. It has a good grip which is helpful while walking, running and playing a sport. I wish the logo was a bit small (as it isn’t as elegant as a Nike swoosh). 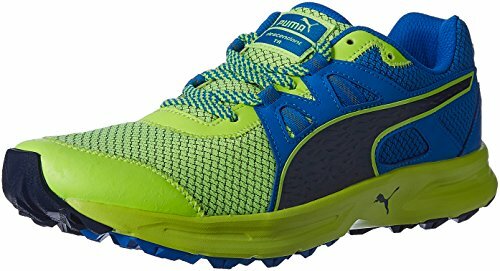 Puma shoes are known for its performance and are used by many athletes and sportsman. This shoe is no different. If you’re into sports or running, and don’t mind the bright color it comes in, this shoe would be great for you. It has been carefully crafted for comfort even with prolonged use. The cushion within the shoe makes it very comfortable. It has a firm grip and is well suited for trail running and trekking. This shoe is a perfect combination of comfort, built and style. It’s not the most trendy shoe in our list of best running shoes, but it’s more than makes up for it in the quality department. It’s built to last and has a comfortable cushion interior. If you decide to buy this running shoe, give it a few days to adjust. This is one of the lightest shoes on our list. It has a sole made for running and sports. The sole absorbs most of the shock you may otherwise feel when running on a concrete surface. Its super light on the feet. This is the kind of shoe you want to use when training for a marathon or running one. It’s however, not the best looking on our list. With a regular black color and a lining of neon color, this can look like any other regular shoe – but it’s one of the best shoes when it comes to performance. Definitely worth the money. Once again Nike has come up with a newer version of Downshifter 7 after the success of Downshifter 6. These shoes have a fantastic look with Nike Swoosh giving an appealing look to the runner. Buyers are really happy with the various color combinations available in these shoes. The Downshifter 7 shoes are termed as “best comfortable and lightweight shoes” by a lot of consumers. It is without a doubt one of the best running shoes in India under 5000 under the Nike brand. 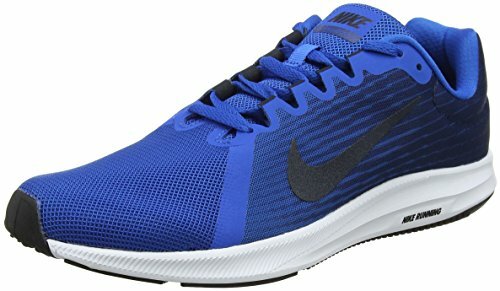 Nike shoes are generally expensive in the market but these ones are very very affordable running shoes. It is a must buy if you are a walker, jogger or marathon runner. On our list of best running shoes, this is on the lower side of quality. It has a good rugged look and can look good with a casual outfit. 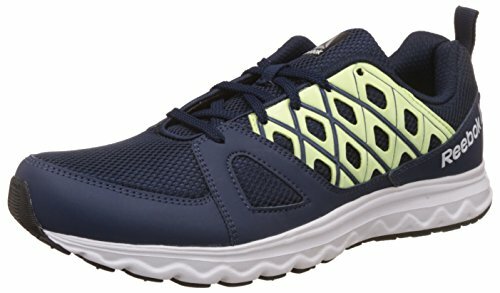 It’s a good walking shoe and can also withstand some running. But it’s not the kind of shoe you would want to use when training for marathons or playing sports for long hours. 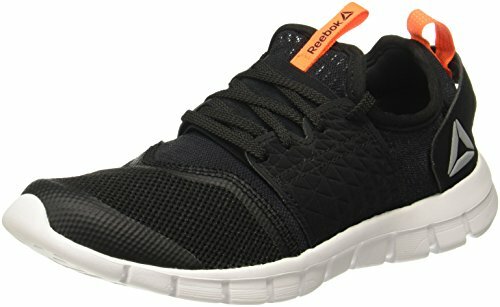 It’s light on the feet and is very comfortable, but some people have reported tearing on the sides when indulging in running/sports. While I have covered a lot about the running shoes in this article when it comes to buying running shoes, two things outweigh everything else – comfort and durability. In our list of best running shoes in India. Adidas Men’s Zeta comes at the top – given its high-quality design and comfortable built. You can use it for walking, running, sports or as a footwear with a casual design.